Properties in Saint-Geyrac average 4.7 out of 5 stars. Domaine de Sardin - Gîte "The Black"
Property 6: Domaine de Sardin - Gîte "The Black"
Domaine de Sardin - Gite "The White"
Property 8: Domaine de Sardin - Gite "The White"
Gîte "La Petite Prairie" + its annex "La Mansard"
Property 10: Gîte "La Petite Prairie" + its annex "La Mansard"
Property 15: Detached house with terrace, gd land, quiet. 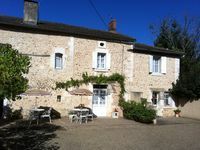 Property 18: Gite with Private Garden and Pool with Stunning Views, don't delay, book today! Property 26: Perigordine House surrounded by nature. 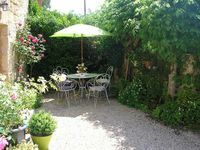 Property 38: Petit Paradis in the heart of the Dordogne, the place to enjoy "The Good Life"!